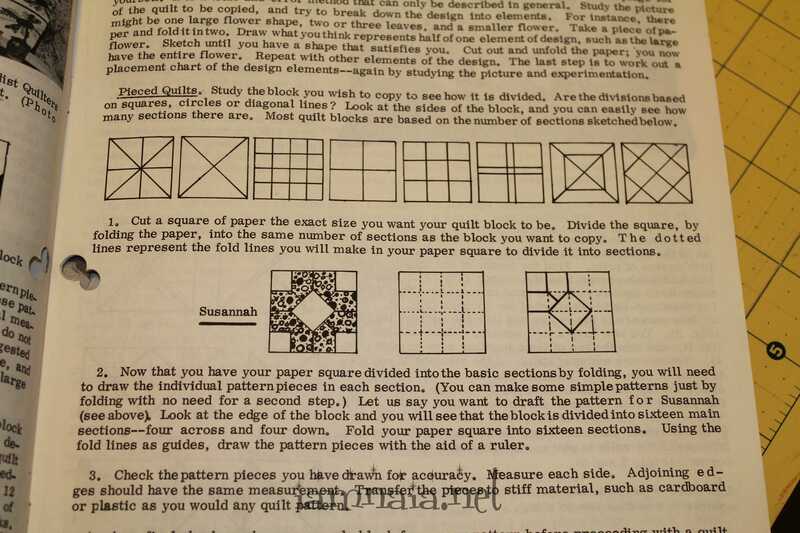 This is the continuation of “How to Copy A Quilt And Make A Pattern” from the Quilter’s Newsletter for 1972. I shall begin with the article and then show what I did towards this end. My methods don’t work for anyone and if you have methods to share, please do so! “Last month we gave you directions for two ways to enlarge a photo or sketch to copy a pattern of a quilt you admire, such as a museum quilt. This month we continue with one more way to draft a pattern for an applique quilt, and give instructions for copying a pieced quilt block. “2. Some quiltmakers prefer the scissor method for making applique patterns. For some this is easier than enlarging a patter; for others, however, it is too difficult. Try it and judge for yourself. It is a trial-and-error method that can only be described in general. Study the picture of the quilt to be copied, and try to break down the design into elements. For instance, there might be one large flower shape, two or three leaves, and a smaller flower. Take a piece of paper and fold it in two. Draw what you think represents one half of one element of design, such as the large flower. Sketch until you have a shape that satisfies you. Cut out and unfold the paper; you now have the entire flower. Repeat with other elements of the design. The last step is to work out a placement chart of the design elements–again by studying the picture and experimentation. “Pieced Quilts. Study the block you wish to copy and see how it is divided. Are the divisions based on squares, circles or diagonal lines? Look at the sides of the block, and you can easily see how many sections there are. Most quilt blocks are based on the number of sections sketched below. “1. Cut a square of paper the exact size you want your quilt block to be. 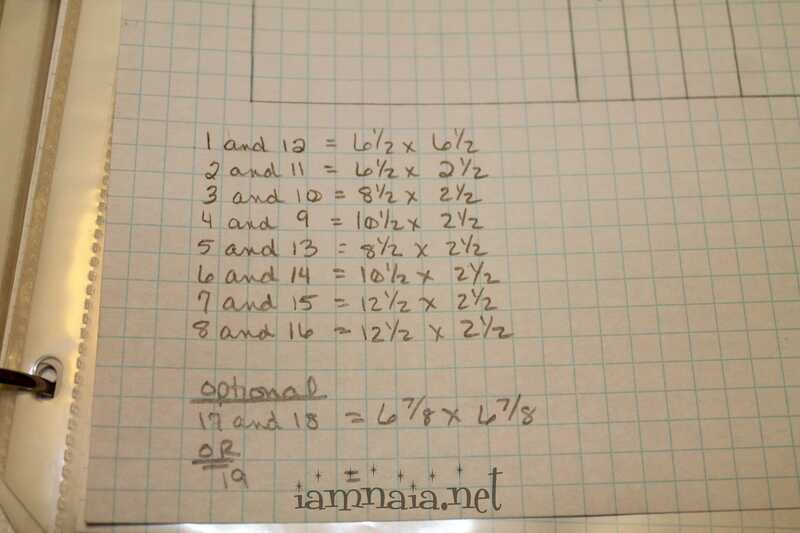 Divide the square, by folding the paper, into the same number of sections as the block you want to copy. The dotted lines represent the fold lines you will make in your paper square to divide it into sections. “2. Now that you have your paper square divided into the basic sections by folding, you will need to draw the individual pattern pieces in each section. (You can make some simple patterns just by folding with no need for a second step.) Let us say you want to draft the pattern for Susannah (see above). Look at the edge of the block and you will see that the block is divided into sixteen main sections–four across and four down. Fold your square into sixteen sections. Using the fold lines as guides, draw the pattern pieces with the aid of a ruler. “3. Check the pattern pieces you have drawn for accuracy. Measure each side. Adjoining edges should have the same measurements. Transfer the pieces to stiff material, such as cardboard or plastic as you would any quilt pattern. I draw my patterns just a bit different; however, I do start out the same way. 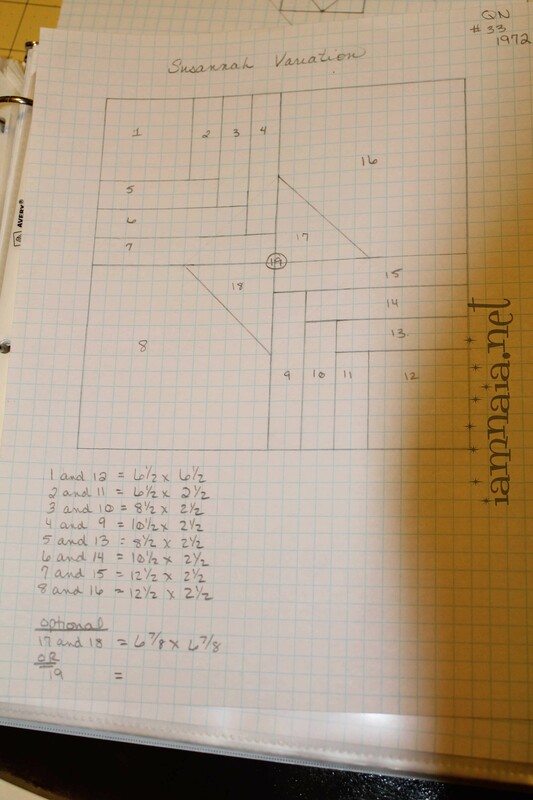 I have graph paper readily at my disposal, so I have no need to fold paper. 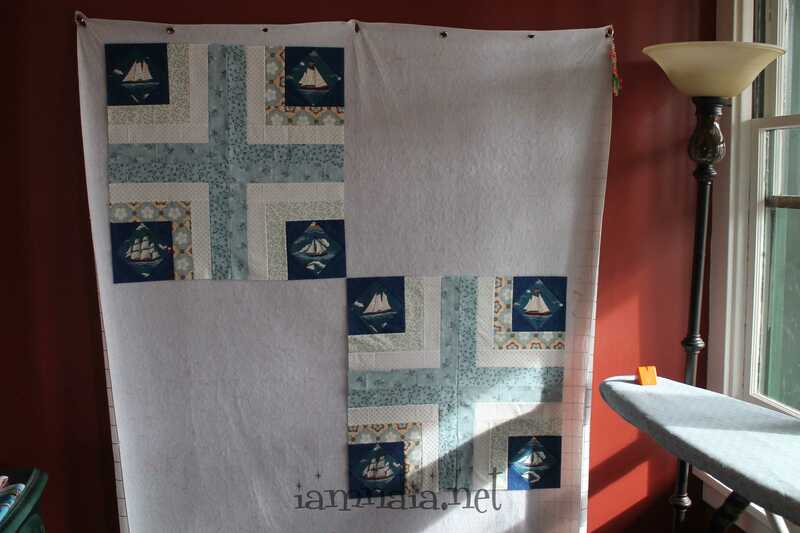 I do count the sections on a pattern that I want to recreate – such as Susannah above. 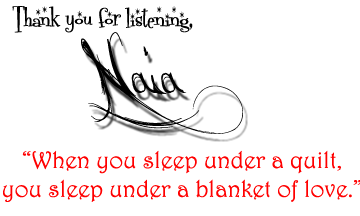 Click the picture to see it larger and then click your back button to return here when done. At first, I drew out the Susannah pattern from the book. I had some 6.5″ blocks that I purchased from elsewhere and was attempting to add them to the center of the pattern. I failed miserably because I am not comfortable with Y-Seams just yet and ended up modifying the Susannah pattern to suit my needs. This is what I came up with. The diagonal lines are optional and, in my final piece, I did not add them. The basic elements of recreating a pattern are there, however. I cut the original into sections and redrew the sections to what I wanted. I measured this one in 6″ sections and ended up with a 24″ square block that I will turn into a quilt. When I draw the pattern, I do not add in the seam allowance. I add that on when I am counting how big to cut my pieces. As you can see, I wrote out the piece requirements at the bottom. I was working on an optional piecing that would include the pieces to make this the original design. There’s my two blocks that were created from a modified Susannah pattern. I would like to say that I’ll be adding a third step to this tutorial. I’ll show you how I set up and create a quilt pattern. I am getting better at it all the time and have learned quite a few tips and tricks I would love to share!